A fact— Every bike enthusiast has once dreamed of owning and riding a bullet. Well, now is the best time to make your dream a reality. 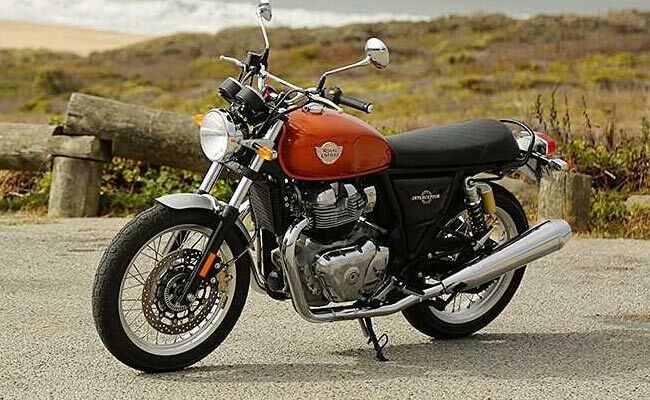 Royal Enfield has launched two marvels from their garage— Interceptor 650 and Continental GT 650. Royal Enfield is evidently competing against KTM and BMW in terms of twin-cylinder motorbikes in India. In comparison to KTM 390 and BMW 310R and G310GS, Interceptor and Continental are considerably cheaper. The Interceptor 650 is priced at ₹2.50 lakh and the Continental GT 650 at ₹2.65 lakh against KTM Duke 390 (₹2.43 lakh), BMW G310 R (₹3.09 lakh) and the BMW G310 GS (₹3.59 lakh). All prices are ex-showroom prices. The motorbikes are prices lesser in the state of Kerala (₹2.49 lakh) and Karnataka (₹2.34 lakh) due to high taxation. Steel tubular, double cradle frame, 2122 mm x 1165 mm x 789mm. [email protected] RPM, [email protected] 5250 RPM, 6 Speed, Fuel injection, digital spark ignition – TCI. Mark Three, Glitter & Dust, Orange Crush, Ravishing Red, Silver Spectre, Baker Express. Steel tubular, double cradle frame, 2122 mm x 1024 mm x 744mm. The Continental GT sports a sporty look while the Interceptor is all about being classy.